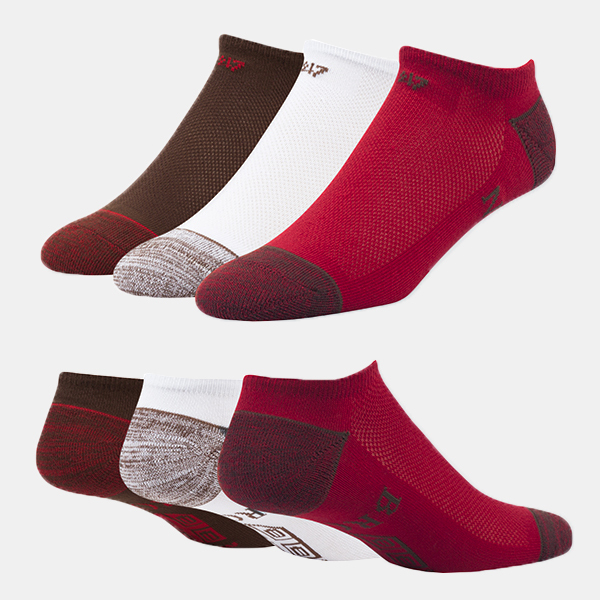 47 Brand moisture wicking, 96% polyester, 2% spandex, 2% natural latex rubber brown and cardinal socks with white stripes with compression arch and footbed cushioning. Grey, cardinal, gold, black, and white Crest on both sides. 'BROWN' in cardinal on soles twice. 47 Brand moisture wicking, 96% polyester, 2% spandex, 2% natural latex rubber brown sicks with cardinal toes, heels, and top of socks, and white stripe on back with compression arch and footbed cushioning. Cardinal, black, and white Crest on front with 'BROWN' in cardinal on soles twice. 47 Brand moisture wicking, 96% polyester, 2% spandex, 2% natural latex rubber no-show socks with mesh-vented zones and selective cushioning in heel and toe. 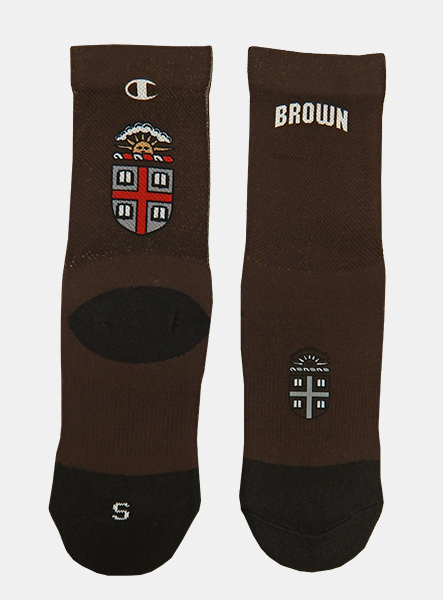 Crest above 'BROWN' on soles of socks. --Package of 3: Brown with cardinal design, Cardinal with brown design, and White with brown design. Champion 94% polyester, 4% nylon, 2% spandex brown socks with black accent at heel and toes. 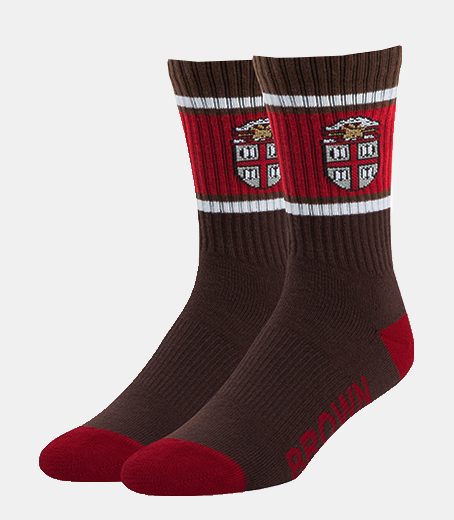 'BROWN' in white on top-front of sock and grey and black Crest on top of foot. Champion symbol in white above cardinal, grey, black, and gold Crest on top-back. 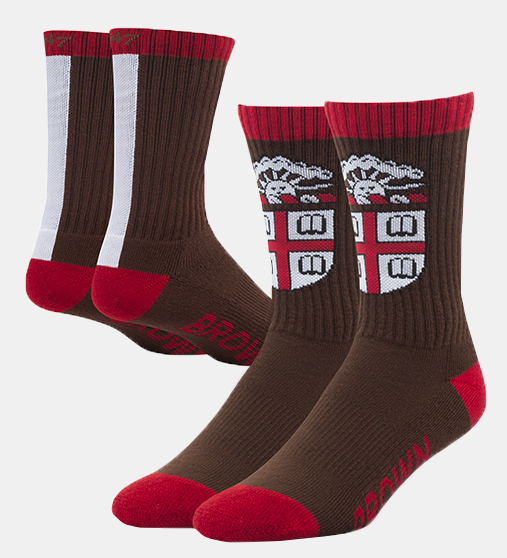 Please select option for Champion Brown Crest Socks - $22.99. Jardine brown men's moccasins with faux shearling lining and rubberized soles. 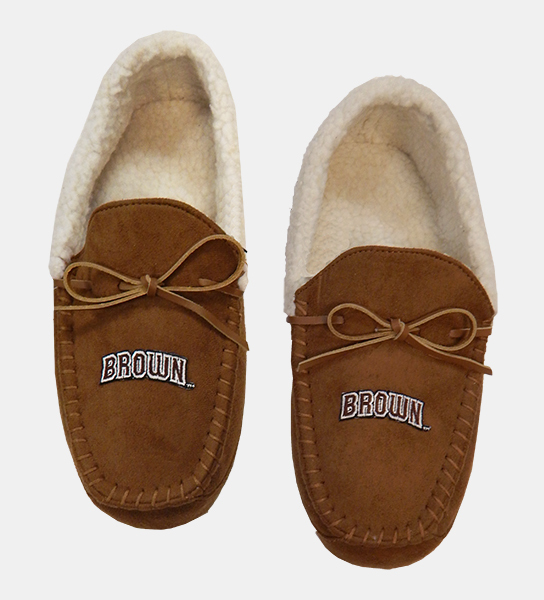 'BROWN' patch embroidered in brown with white and black outlines on top of each moccasin. Please select option for Jardine Brown Men's Moccasins - $36.99. 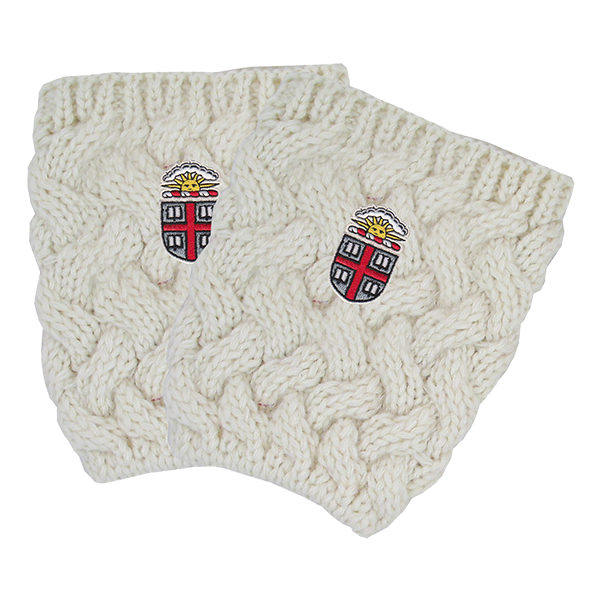 Please select option for Logofit Ascent Boot Cuffs - White.